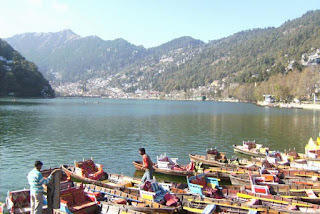 Nainital is the beautiful Lake City of India situated at Kumaoni hill station. This city is most demanding and favorite spot for many people and people from different nations as well as states of India regularly visit this city to make their moment memorable. This city of Uttaranchal is covered with lots of natural lakes. In 1841, a house was constructed by Mr. Baron from England, which is called as Pilgrim’s Cottage. The altitude of Nainital is 1938 meters above the sea level. It is set in a Dale having a pear-shape, about two miles in the boundary, and bordered by mountains. Visitors can have the look of magnificent natural beauty from the higher peaks. Naina Devi Temple: this temple is special for local people as it has some spiritual values. People from different nations are also visiting Nainital because of Naina Devi Temple. During the religious festivals, this temple becomes the first choice for local people. The celebration with very good decoration makes the moment special in festivals. Naina Devi’s temple was initially constructed in the 15th Century. Naini Lake: this natural made lake is special and covered with a high range of mountains. 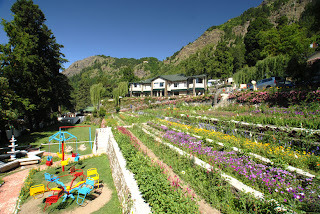 It is situated at Naina hills of Nainital, which feels like swimming in the sky. The enchanting beauty of lake makes the moment memorable. Sunrise and Sunset at this spot are better than any other thing. The Mall Road: this is a point of coalition between Tallital with Mallital, which makes it the very busy places of Nainital, particularly throughout peak seasons. This road is completely busy between May to June. However, this road is renamed as Govind Ballabh Pant Marg. The Flatts: it is situated on the northern side poignant the lake. This is the famous spot where the most horrible landslip happened in 1880 in which approximately 151 people died. The Zoo: it is just 1 km away from the Nainital bus stand. Zoo is constructed at 2100 meters height from the sea level. Its name has been changed to Govind-Ballabh-Pant High Altitude Zoo. Aerial Ropeway: this is one of the major tourist spots of Nainital, which runs from Mallital. The spectacular view of the mountains and hills of Himalaya from this point is amazing. This could be the best moment of life by viewing the high hills of Indian ranges. Governor House: Raj Bhavan is also known as Governor House, which was constructed in 1899 by F. W. Stevens. In British rule, this house was used as the summer residence of the Governor of British. However, it is converted into the bureaucrat guest house of Governor of Uttarakhand. State employees are also enjoying this house in vacations. Snow View Point: viewing the snow of beautiful hill’s Himalayas is possible from the point known as Snow View. Nanda Devi, Trishul viewpoint and Nanda Kot are some other higher ranges where people can enjoy the view of mountains. Cave Garden: this is the newest tourist spot of Nainital located in SukhaTal, which is 1 km from Mallital. Hanuman Garhi: This is the holy place for visitors and tourists. This Garhi is situated at good distant from 3.5 km from Nainital bus stand. It is constructed at a height of 1955 meters from the sea level. Naina Peak: It is also known as Cheena Peak situated at an astonishing height of 2615 meters from the sea level. It is the highest peak point of Nainital and can be visited by traveling the beautiful distance of 6 kms. Tiffin Top: it is the well- known as Dorothy’s seat means. These are 4 KMs away from Nainital, and people can enjoy the view of hills from this location as well. Some more attractive places of Nainital are Land’s End, Gurney House, Aryabhatta Research Institute of Observational Sciences, St. Johns Church, and Kilbury. These spots are beautifully maintained by the government of Uttarakhand, and visitors can enjoy the accommodation at various hotels available at Nainital. Booking for a hotel is possible through online as well because lots of tourism departments are providing the services for Nainital tour.